Interfaith Peace-Builders (IFPB), a US Campaign coalition member, is organizing two delegations to Palestine/Israel in October and November 2012. The African Heritage delegation will travel in Israel/Palestine for two weeks and meet with members of Palestinian and Israeli civil society, human rights organizations, grassroots activists and others. Specific meetings will also feature African Heritage communities in Israel/Palestine, Jews of color (Sephardi and Mizrahi Jews), Palestinian refugees, and others whose unique experiences will contribute to the educational and activist aim of the delegation. Anyone of African descent is encouraged to apply for this delegation. Find more information on their website. This delegation to the Gaza Strip is open to all and will focus on an in-depth look at the situation on the ground, as well as the work of various civil society groups, grassroots organizers, religious leaders and more. Find more information on their website. Since 2003 the Israeli Committee Against Home Demolitions (ICAHD), a US Campaign coalition member group, has made it possible for internationals and Israelis to join together with Palestinians in Anata, East Jerusalem, to resist the Occupation and rebuild the demolished homes of Palestinian families. In the summer of 2012, ICAHD will once again rebuild during their two-week Summer Rebuilding Camp July 1-16. "Creating Alternative Facts on the Ground" invites you to participate in the incredible opportunity to learn first-hand about life under occupation. 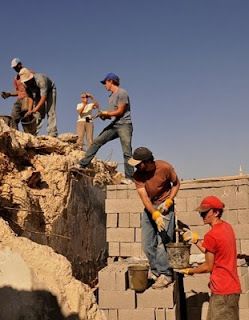 Working with local Palestinian construction workers and community members, alongside Israelis, camp participants rebuild an entire house in two weeks. The summer program includes presentations from activists who are engaged in the struggle to resist the occupation in nonviolent, creative and constructive ways, as well as field trips to the West Bank, Lod, Jerusalem and the Negev to personally witness the methods used by the Israeli authorities to limit available land and resources for use by any future Palestinian state. 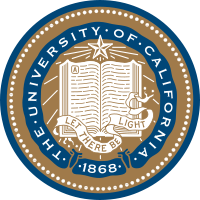 Find more information on ICAHD's website. Yousef Munayyer, Palestinian American writer and Executive director of the Jerusalem Fund. "Bedouin Life under the Israeli Occupation"
Interactive demonstration of the Wall and the human rights situation in Palestine. 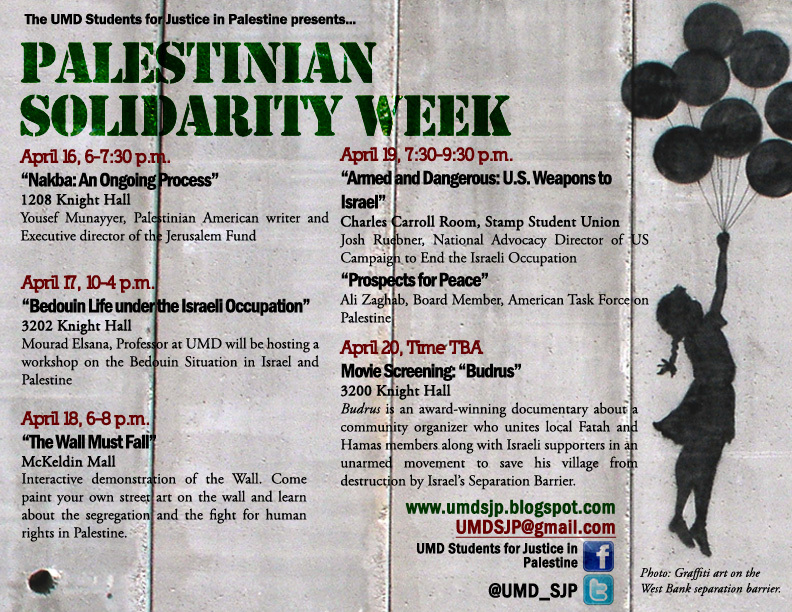 Come paint your own street art on the wall, or learn about the human rights situation in Palestine. "Armed and Dangerous: U.S. Weapons to Israel"
Josh Ruebner, National Advocacy Director of US Campaign to End the Israeli Occupation. Ali Zaghab, Board member, American Task Force on Palestine. Budrus is an award winning documentary about a community organizer who unites local Fatah and Hamas members along with Israeli supporters in an unarmed movement to saw his village from destruction by Israel's separation barrier. The Davis Committee for Palestinian Rights is asking for your help by sending emails to members of the Board of Directors of the Woodland-Davis Clean Water Agency (WDCWA) to encourage them to deny Veolia Water North America the opportunity to participate as a bidder on a $3.25 million public tender for a water project to be constructed in Yolo County, California. The Board is expected to make its determination on Thursday, April 19 so make sure to have your emails sent no later than Monday, April 16. Below is a sample email and the contact information of the members. 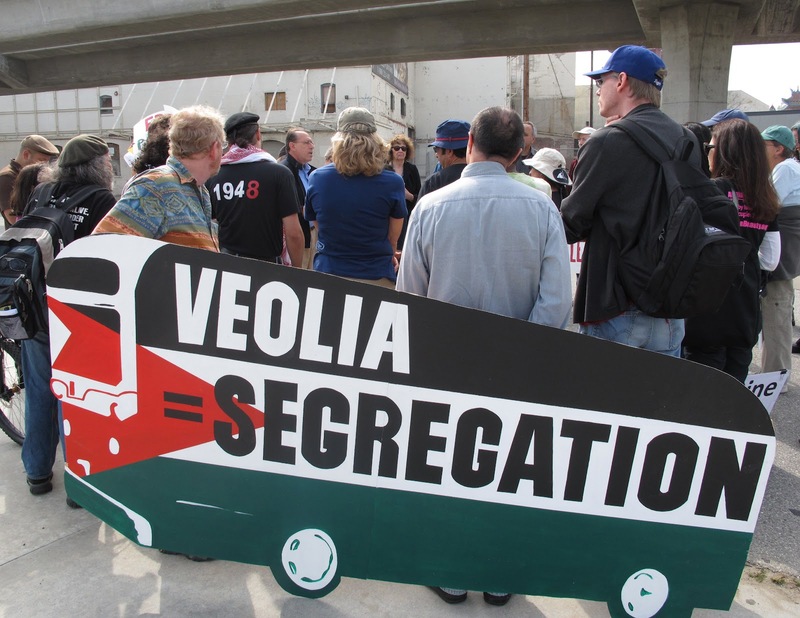 One of Veolia’s subsidiaries continues to provide bus and light rail transit services to settlements in the West Bank and East Jerusalem, while another operates an illegal landfill in the Jordan Valley for the disposal of waste originating from the settlements and from Israel. Both the transit and landfill operations violate international law by providing services to and supporting the settlements in the Occupied Territories. The Davis Committee for Palestinian Rights has appeared before the Board on four occasions addressing Veolia’s violations in Palestine and the need for ethical criteria to evaluate the bidders. The more complaints they receive about Veolia, the stronger will be the basis for rejecting its bid. I am writing to express my concern that one of the prospective bidders on the WDCWA surface water design and construction contract will be allowed to participate in the bidding. 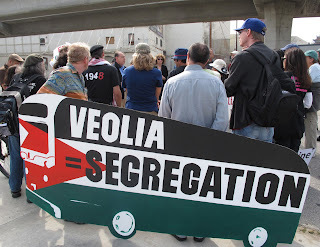 Veolia Environnement, the parent company of Veolia Water North America, has been accused of complicity with the state of Israel in violating the rights of Palestinians living in the West Bank and Jerusalem due to operation of a transit system and bus routes that provide service to the illegal settlements, as well as through operation of a landfill in the Jordan Valley of the West Bank that accepts waste from locations throughout Israel and from the settlements. Veolia is in the process of losing contracts with public agencies in many cities and counties in Europe (London, England; Wales, Ireland, and Sweden). Here in the United States, Veolia has lost the confidence of several public utilities, including most recently the City of Richmond, California. As the City of Davis did in helping to eliminate apartheid by supporting divestment from companies doing business with South Africa, please do the right thing by supporting contract denial to companies doing business with Israel in violation of international law. I read with great interest Peter Beinart’s recent New York Times op-ed “To Save Israel, Boycott the Settlements.” His thesis is straightforward: Beinart believes Israel is a democratic country being undone by the occupation of the Palestinian territories. The settlements must be opposed while allegedly democratic Israel must be supported. Efforts to support the Palestinian right of return (for refugees), he contends, undermine the possibility of a two-state solution and, thereby, end the possibility for Israel as a Jewish homeland. It is critically important that Beinart identifies the undemocratic—indeed, colonial—nature of the settlements. It’s insufficient, but an important start. The Israeli settlements flout international law, utilizing distortions of Judeo-Christian theology and/or what are regarded as the ‘facts on the ground’ (in this case meaning that the Israelis hold the land so they are not going anywhere). By controlling another people, the Israeli occupation renders impossible any real sense of democracy for Israel. Yet it is within Israel itself that Beinart’s argument is fundamentally based upon a set of myths, repeatedly stated and often unquestioned, but myths nevertheless. The central myth is that Israel, within the pre-1967 borders, is a democracy and that it is the Occupation perverting this otherwise just state. This misrepresents reality. For 20 percent of Israelis there is no genuine democracy. Palestinian citizens of Israel exist as second-class citizens compared with Jewish Israelis. Whether one is referencing a “racial” differential in public education, availability of land, marriage laws, employment, or discriminatory housing access, Israel within the pre-1967 borders – with some 35 discriminatory laws – comes up short on democracy. It's like calling the pre-Civil Rights United States of America a democracy. With rampant legalized discrimination against African Americans and other people of color, and with voting skewed against the poor more generally, how could that have been a democracy? It’s also reminiscent of those who speak of ancient Athenian democracy while ignoring the fact that this “democracy” was founded on slavery. Either a system is democratic or it is not, a fact that many of us here in the USA understood in the period of Jim Crow segregation in the former Confederate states of our South. Dr. Mads Gilbert, professor of medicine at the University of North Norway, specializes in anesthesiology and emergency medicine. He provided medical support in Gaza during Israel’s three-week assault in December 2008 and January 2009. 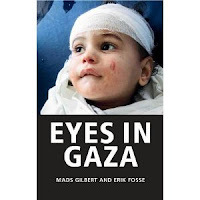 Dr. Gilbert describes his experiences in his book, Eyes in Gaza, co-authored with colleague Dr. Erik Fosse. Mads Gilbert recently returned from trips to Beirut, Lebanon (March 2012) and the Gaza Strip (January 2012). 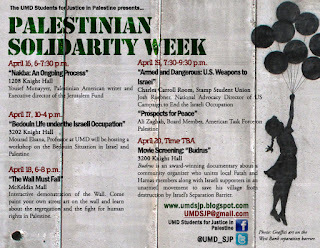 Gilbert’s US lecture tour will focus on his experiences in Gaza during Operation Cast Lead and in his recent follow-up visit, while providing an up-to-date analysis of the Palestinian crisis in light of current US-Israeli foreign policy in the Middle East. Wednesday, April 11, 2012: Washington, DC. 8:00–11:00am. National Press Club – the Murrow Room. 529 14th Street NW. Admission free. No tickets required. Contact Jennifer Loewenstein (608) 215-9157. Wednesday, April 11, 2012: Washington, DC. 3:00-6:00pm. Georgetown University ICC Auditorium followed by reception in CCAS Boardroom (241 ICC). This event has been marked as open to the public. Contact Jennifer Loewenstein (608) 215-9157. Thursday, April 12, 2012: Madison, Wisconsin. 12:00-1:00pm, WORT 89.9fm Radio: A Public Affair – Interview. Lecture and book sales at the University of Wisconsin-Madison. 180 Science Hall 7:00pm. Contact: Max Love (724) 557-6269 or Barb Olson (608) 827-6433. Friday, April 13 2012: Minneapolis, MN. Lecture at 7:00pm. Holy Trinity Lutheran Church; 2730 E. 31st Street. Contact Women Against Military Madness (612) 827-5364. Saturday, April 14, 2012: Minneapolis, MN. Coffee 9:30am & lecture at 10:00am; Hennepin United Methodist Church; 511 Groveland Ave. Contact: Dixie (952) 941-1341. Saturday, April 14, 2012: Northfield, MN. Lecture at 7:00pm; St. Olaf’s College; Contact: Jonathan Hill (507) 645-7329. Monday, April 16, 2012: New Brunswick, NJ. Lecture at 7:00pm at Rutgers University. Busch Campus Center Room 120AB; 604 Bartholomew Road Piscataway, New Jersey 08854. Contact Maryam (917) 297-0478. Tuesday, April 17, 2012: New York, NY. Lecture at 7:00pm at Hunter College. Contact Maryam (917) 297-0478. Wednesday, April. 18 2012: Cambridge, MA. Lecture at 6:00pm at Harvard Law School, Austin West. Contact Ellen (781) 396-0684. At the 19th annual national conference of M.E.Ch.A. (Movímíento Estudíantíl Chícan@ de Aztlán), the largest association of Latin@ youth in the US, chapter leaders voted by a landslide decision to endorse the global call for Boycott, Divestment and Sanctions (BDS) on Israel, due to its military occupation and settlement of Palestine. The announcement that M.E.Ch.A. chapter leaders endorsed BDS comes on the coinciding international observances of “César Chávez Day” and “Land Day,” commemorating ongoing civil rights and anti-colonial struggles for Latin@s and Palestinians. The chapter delegations (including some 600 delegates) met in Phoenix, AZ last weekend, the site of the very first M.E.Ch.A. conference in 1993. The Palestinian BNC, the broadest coalition of Palestinian political parties, trade unions, NGOs and networks released a statement saluting M.E.Ch.A for their principled stand in support of BDS. "Echoing the words of César Chávez, 'Sí, se puede! ', our common aspirations for freedom, justice and equality are possible to achieve and we look forward to joining forces with M.E.Ch.A and the broader US Latin@ community in the struggle against injustice and apartheid." Anna Baltzer is National Organizer at the US Campaign to End the Israeli Occupation and author of "Witness in Palestine: A Jewish American Woman in the Occupied Territories." To learn more about this divestment resolution being considered by the United Methodist Church in 2012, visit www.kairosresponse.org.